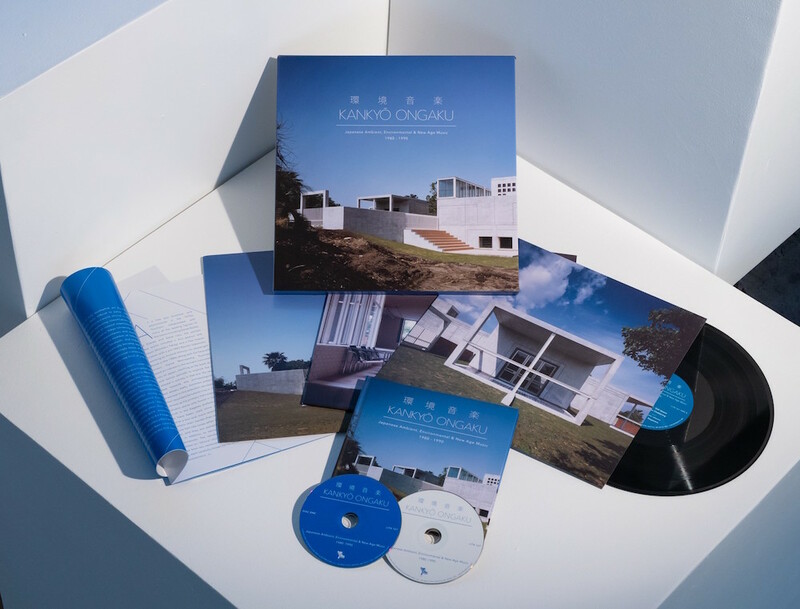 Visible Cloaks’ Spencer Doran explains the musical world of ‘kankyō ongaku’ – a strand of Japanese minimalism that emerged in the 1980s to soundtrack the architectural wonders and commercial advancements of the country’s economic boom years. “This music could be said to be an object or sound scenery to be listened to casually. Not being music which excites or leads the listener into another world, it should drift like smoke and become part of the environment surrounding the listener’s activity.” This is how composer and minimalist Satoshi Ashikawa describes ‘kankyō ongaku’ – the umbrella term for a particularly deft form of Japanese music deemed ‘environmental’, or composed for specific environments. 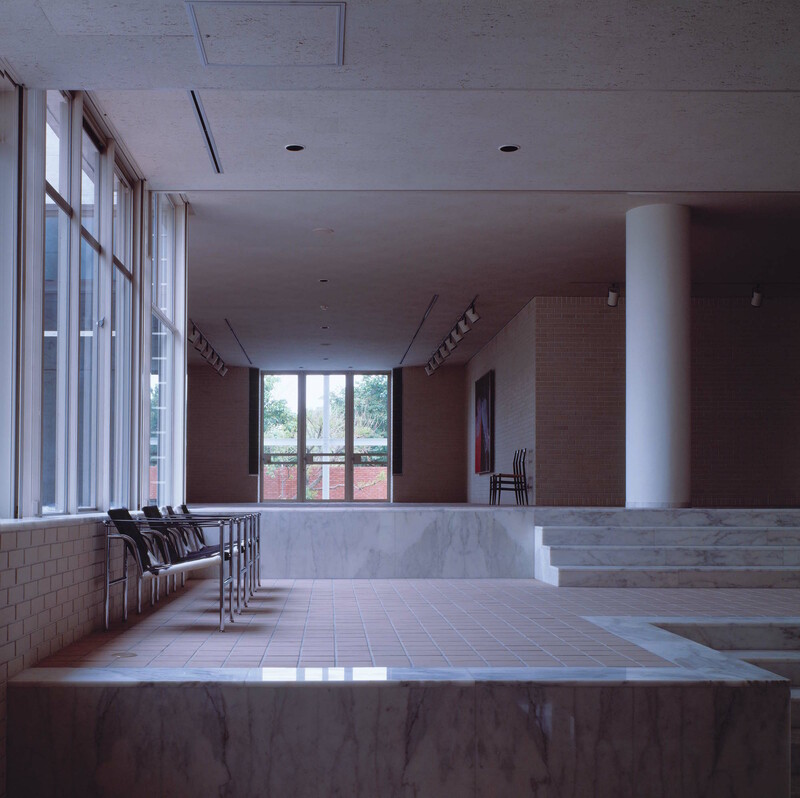 Sharing structural similarities with minimalism in modern art and contemporary design, ‘kankyō ongaku’ sought to provide site-specific soundtracks to public and private spaces, or specially composed audio accompaniments to commercial products, like Takashi Kokubo’s Get At The Wave, composed for a new series of luxury Sanyo air-conditioning units. 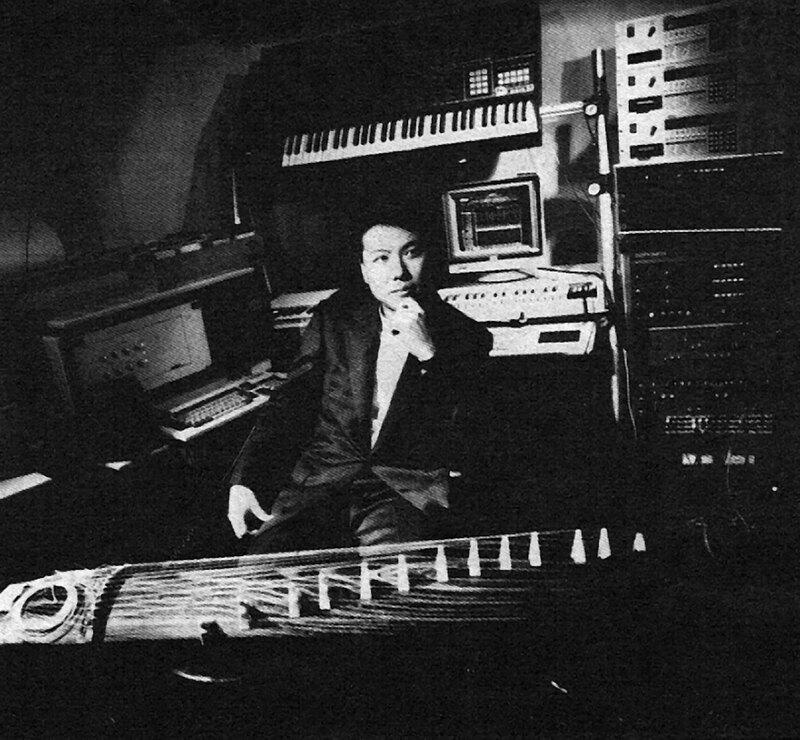 Many of these recordings were subsequently released, and have become highly sought after items concurrent with a growing interest in Japanese electronic music. Visible Cloaks’ Spencer Doran is one of the collectors and enthusiasts who has been instrumental in bringing this sound to a wider audience. Eight years after his Music Interiors mix captured the essence of ‘kankyō ongaku’, Doran has overseen the first major compilation of the music. Released by Light In the Attic, Kankyō Ongaku: Japanese Ambient, Environmental & New Age Music 1980-1990 collects 25 tracks on 3xLP, featuring the likes of Joe Hisaishi, Ryuichi Sakamoto, Yasuaki Shimizu, Haruomi Hosono and Jun Fukamachi. We spoke to Spencer to find out more about the conceptual and historical framework for a musical world that is only beginning to be understood outside Japan. How did you first discover Japanese environmental music and what attracted you to it? 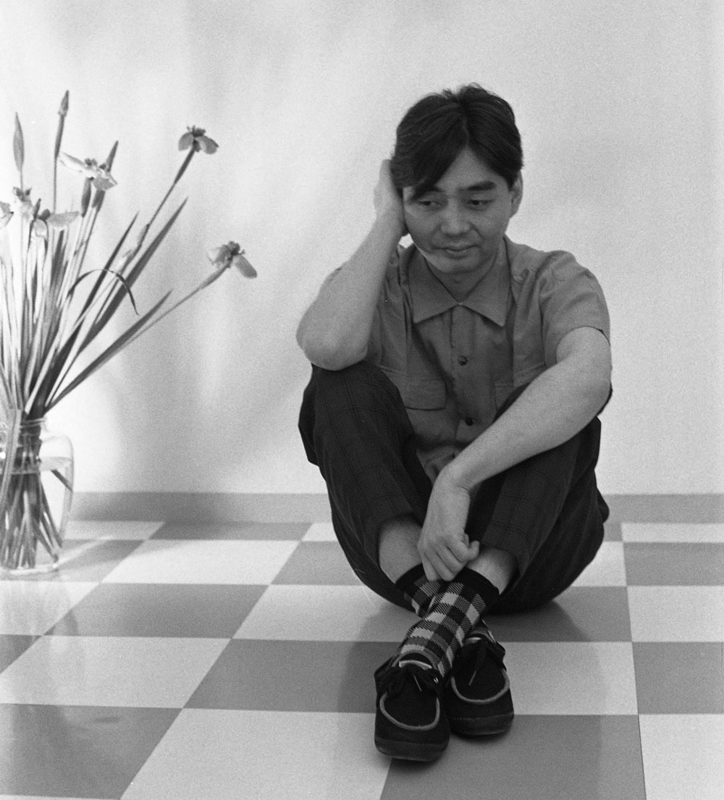 I don’t think my personal relationship with this music is that important, but my most “environmental” entry point was probably Hosono’s Mercuric Dance, which I came to through YMO and Sakamoto. Shortly after, I discovered Hiroshi Yoshimura’s AIR in Resort while looking for more productions by Seigen Ono, as well as Music for Nine Post Cards and Satoshi Ashikawa’s Still Way from there. At this point I realised something very deep was happening in the orbit of these musicians, and I set out to learn more. I had long been interested in minimalist and ambient music, but these two records felt like what I always wanted US minimalism to sound like. 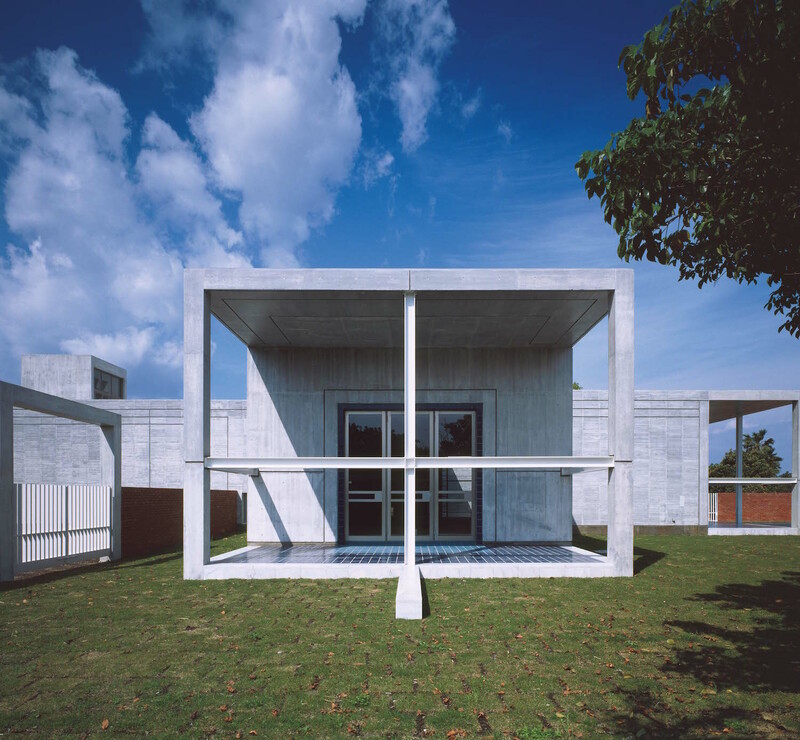 Something far closer to the minimalist schools of modern art and contemporary design and more in touch with the use of space felt in design aesthetics. It was mind-blowing to me that neither were included in the cannon of minimalist music or ambient music. The title of the compilation includes some of that canon and identifies its different strands as ‘ambient, environmental and new age music’. What differentiates these genres for you and why were they grouped together? It’s a good way of mapping the three different, yet overlapping, branches happening within the material represented, but in part the sub-header is also a way to separate the release from Light in the Attic’s previous two boxset compilations in this style – I Am the Center and The Microcosm. These compilations were made with the intention of mapping and re-examining the history of “new age” music in America and Europe, but it was the wrong viewpoint to approach most of this music from. “New age” generally pertains to music that was an outgrowth of the loosely defined Western spiritual movement of the same name, a movement which isn’t connected to the bulk of the material here. There is certainly a spirituality that can be felt within it, but it is far more deeply-seated and works in relation to a shared cultural history, not Western exoticism of the spiritual “other”. 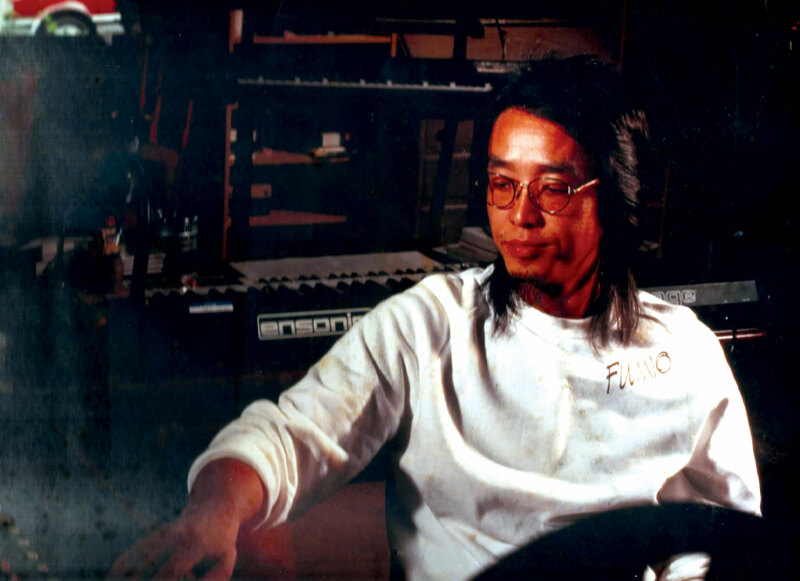 Satoshi Ashikawa’s “environmental” ideas exists as an extension of sociological theory and architecture – it flows from the lineage of the ’60s/’70s Tokyo avant garde, Eno’s ambient, Satie’s furniture music, and much of this was coming from the art world or the extended universe of high-end studio pop music. 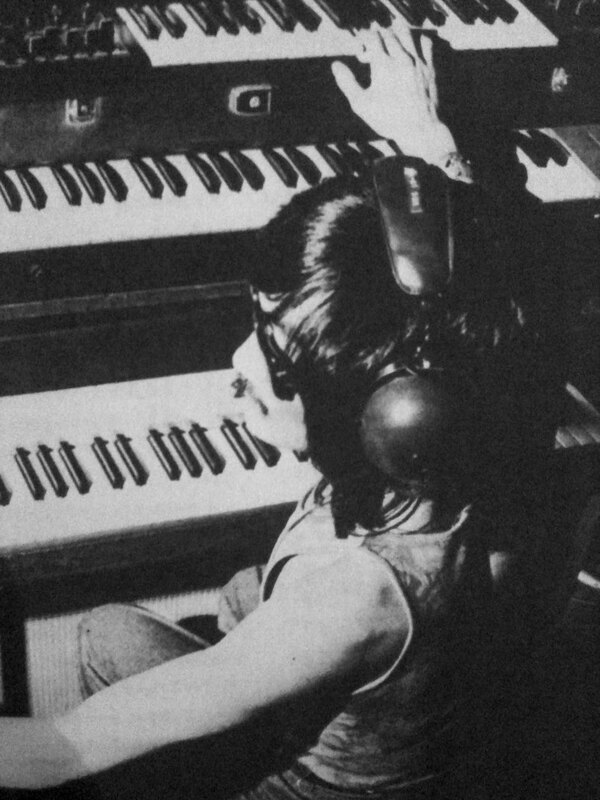 Interestingly, the most traditionally “new age” material included here comes from artists that found careers in what came to be called “healing music”, who were previously involved in the 1970s psychedelic rock scene – folks like Fumio Miyashita and Akira Ito. It’s quite useful to articulate the different forms this music took, and their separate linages as it shows that this sound wasn’t strictly a single uniform thing. How did you choose what tracks/artists made the cut? I wanted to tell the story of the scene and cultural landscape surrounding it – all the different permutations that the idea of ambient/environmental music went through, and the ways that it seeped into pop-culture and everyday life. There’s a very strong socio-economic dimension to a lot of this music, as it exists as a very clear extension of bubble-era hypercapitalism and the sense of lifestyle associated with it. I wanted the selections to reflect that. I decided to focus on specifically on the 1980s, as the end of the bubble era in late 1990 was a pretty firm end to the financial support that helped this music flourish. Beyond that, I wanted it to flow well as a tracklist and tried my best to program it with that in mind – a mix I made in 2011 called Music Interiors was an early version of what became the compilation and a fair amount of the structure of that is still intact. Were there any tracks/artists whose work you weren’t able to include? Of course. The bulk of the 4 years that this compilation took to come to fruition was time spent working out the licensing. It was an extremely complex process and a lot of compromises had to be made. Licensing from Japanese labels – particularly major ones – can be quite difficult. Plus with the sheer volume of material we were working with, we were bound to have some difficulties. The most significant was Midori Takada, who was pretty crucial to the story. We tried a bunch of different pieces and the requests all got rejected on the license-holder end. Midori is a friend – I’ve shared the stage with her, I spoke to her when doing my research and she’s of course a central figure to the scene, but we couldn’t include her music! That was super frustrating for me. Also, in the midst of working on the licensing, this music started to get really popular online, which actually made things more difficult on our end. Midori Takada seems like something of a unique figure in this world. Is there a reason why a majority of these artists are male? They’re not all male, but the gender imbalance is admittedly a huge bummer, it’s something I tried to address with the track selection but didn’t have much luck with. There were a few more on the initial tracklist – Midori/Mkwaju, Ichiko Hashimoto, Mayumi Miyata, etc., but as I mentioned, we couldn’t get the rights to include everything we wanted to, sadly, despite how hard we tried. Satsuki Shibano is also a friend and was consulted heavily in my research, but her original material, like Caresse, ‎was unfortunately too far outside of the time period we were focusing on. The same was true of Aki Tsuyuko. Even if we were able to include everything we wanted it would still be super imbalanced, because the fact of the matter is that the world Japanese music production at that time was super imbalanced, particularly in the patriarchal major label universe that a lot of this music emanates from. They haven’t really had the same movements to address these issues in the music industry as we have in the west, that’s something that’s just now starting to become a topic of conversation. The idea of environmental sounds as music in public spaces, or for commercial/advertising purposes, seems to share similarities with Muzak. Why do you think this is being seen in a new light now? Actually this couldn’t be further from the original intension of environmental music, as the movement’s conceptual architects (Kuniharu Akiyama, Ashikawa, etc) positioned the idea in direct opposition to historical notions of Muzak or Japanese BGM. For them Muzak was something excessive and deeply impersonal, whereas environmental music was deeply tuned to the space it was designed for, and devoid of a homogenised mood. It is specific, whereas Muzak is general – “other people’s music”, to use Akiyama’s phrase. They envisioned environmental music as something that opens up a space for artistic expression, as something that affects the individual in a subtle but profound way – this is a really beautiful idea to me. There are lessons that can be learned from this distinction that we can easily apply to now, especially in Spotify’s neo-Muzak age of algorithmically-optimised non-music which permeates the modern city. We’re losing sense of the concept of music as something that is constructed for individualised experience and I think that a re-examining your own internal relationship to sound in physical space is one of the keys to unraveling this. Photo: Fumio Miyashita, courtesy of BIWA Inc. Given that much was composed for physical spaces, context seems pretty important to each track, and many have wonderful stories behind them. Are there any stories that particularly resonated with you? The story of Art Vivant – the record and book store that Satoshi Ashikawa helped run – is a big one that stuck with me. It was this small shop inside of a department store adjacent to a modern art gallery. In the late ’70s and early ’80s it was a huge hub for what would become the kankyō ongaku scene: they were the first place in Japan to import Eno’s ambient records and they had niche selections of avant garde and ethnographic LPs that Ashikawa would recommend to people, in addition to art and theory books. Yoshimura, Yoshio Ojima, Midori, Satsuki Shibano would all hang out there – Masahiro Sugaya sold his early demo cassettes there, Munetaka Tanaka (who co-ran Sound Process Design) was also a clerk there. I was with Yoshio, Satsuki and Midori one day when they were all reminiscing about it – “we are all children of Art Vivant,” Yoshio said. As a person who’s spent probably far too much of my life in record and book stores (on both sides of the counter), I relate with that dynamic a lot – the record store as a culture-accelerating social space, a marketplace for ideas. It was also pretty amazing to be able to hone the genesis of a movement down to such a micro level. Do environmental sounds have any precedent in Japanese music history or was it something that was imported with Eno & Satie? I get into this a bit in the liner notes, but there are ambient sound-design traditions like suikinkutsu (an Edo-period “water zither” found in outdoor garden design formed by dripping water in a resonant, underground pot, which is listened to indirectly as part of the garden environment) or the tradition of temple bell ringing (toki no kane) that was used to mark the passage of time in early Japanese towns. Suikinkutsu came back into favour in the ’80s after being largely forgotten for hundreds of years, and Hiroshi Yoshimura actually wrote a whole book on toki no kane, his argument being that it functioned as a prototypical form of public sound art. Also, it can be said that Eno’s approach resonated because of some inherently Japanese underpinnings: specifically, John Cage’s philosophies that were drawn from studies of Zen Buddhism. Similarly when Satie first arose in popularity in Japan, there was a sense that his musical approach already felt culturally familiar, though it’s hard to pin down exactly why that was. Library musicians and composers of incidental sounds tend to be somewhat overlooked (although with every KPM reissue that seems to be changing). What kind of status do composers of environmental sounds have in Japan? Environmental sounds are most certainly appreciated, but as they’re more woven into the fabric of daily life in an almost unnoticeable way, the composers are generally pretty anonymous. With that in mind, how would you describe the concept of ‘kankyō ongaku’ to someone unfamiliar to the term?